The Ruchaka yoga is one of the five Royal Yogas of Vedic Astrology Panchmaha Purusha Yoga. The कारक मंगल karak planet Mars forms Ruchaka Yoga. Like all other Mahapurusha yoga the association of powerful Mars planet with quadrant is necessary. Ruchaka Yoga is formed when Mars in its own sign, Mool Trikona or exaltation occupies kendra (quadrant) which is 1st, 4th, 7th and 10th house. Ruchaka Yoga cannot occur with reference to every sign of the zodiac in the same house. In Gemini, Virgo, Sagittarius and Pisces ascendants this yoga can not occur. Person born with Ruchaka Yoga has a long life. The native is strong, valorous and destroyer of enemies. Ruchak jatak has material comforts and has a good number of followers in masses. Has visible calibre with chesty mindset. Native is born with leadership qualities and becomes head of army/land and victorious through out. The native who has Ruchaka yoga formed by Mars the person gains land and property money. Blessed with wife/ wives and sons/ children. Brothers/ siblings are cause of happiness in the life of such native. The person is cheerful exquisite in temperament, farming and agriculture is source of good income especially. Ruchaka in Sanskrit means ‘having, showing or conforming to good taste’. In other references a type of salt is named Ruchak in Aayurveda. One of the southern peak of Sumeru Parvatis Ruchak. The Ruchak Yoga jatak has all the good qualities associated with planet Mars. Like bravery, power, victory, proud. The native is of strong physique. Mars is being planet for war so obviously Martians are supposed to be great in strength. Since the yoga is related to Mars and Cardinal direction of South is for Mars in general; regions south to Vindhyachal and further South of Sahyadri range (Satpura Parvat) relates to Ruchak Yoga. In Jatak Paarijaat territory defined for Mars is from Krishna River in the North to Lanka in the south. 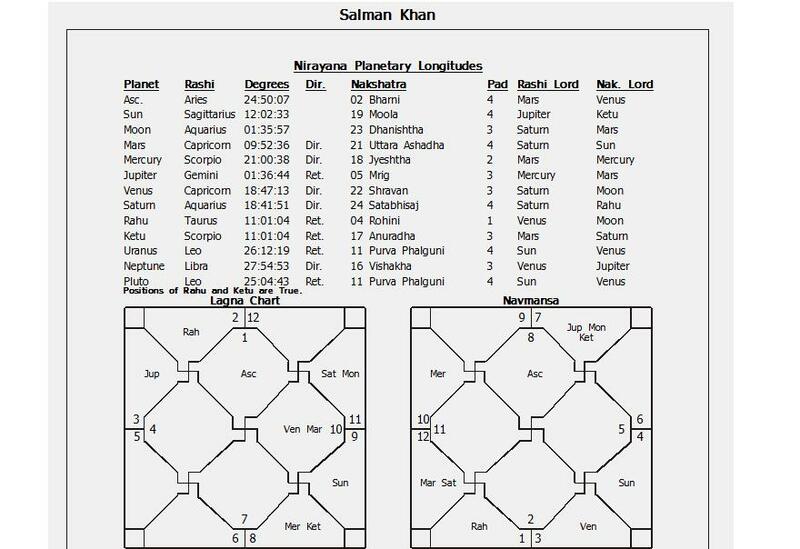 Hindi film’s Tiger hero Salman Khan has Ruchaka Yoga in his tenth house. 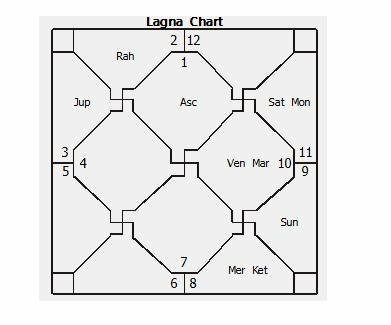 The Yoga Karak Dabang Mangal (Mars of 10°) in its exaltation sign Capricorn and positioning in quadrant (10th house) is giving rise to this yoga. Tenth House being house of Karma, name and fame etc. in astrology. The Ascendant lord Mars in tenth house made him a self made person. Not every sons or daughters who have film background see the place which Salman Khan has created for himself.